Matching Beers and recipes is tedious for the novice and experienced sommelier alike. 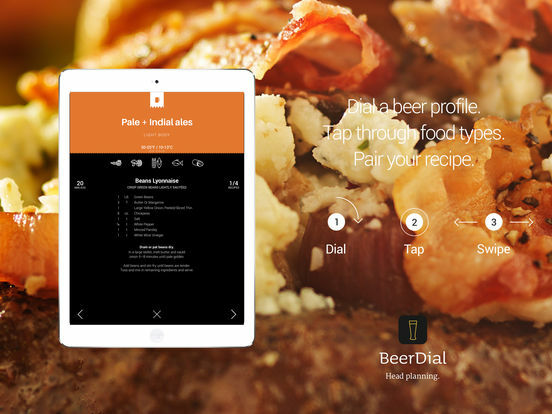 The Beer Dial has simplified the process with an intuitive user-interface, and an up-front approach to navigating the complexities of Beer pairing. Each wine is colored coded by it’s respective color profile, and accompanied with serving, preparation, and expiration details. Flavors are easily sorted by dialing through profiles, making exploration convenient while eliminating app fatigue from deep diving into endless content streams. Each pairing contains 3-7 recipes per food category, and each wine profile has up to 7 food pairs. That’s 10 food categories, 1-7 food profiles per Beer profile, totaling 100+ recipes, including charcuterie and cheese recommendations. Recipes are on a simple carousel by tapping forward or tap backward. 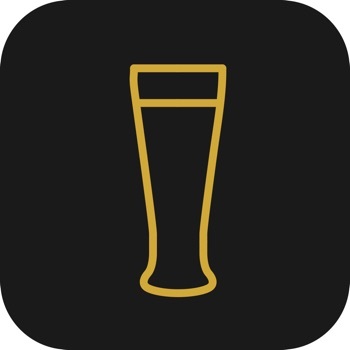 And when using the Beer Dial on your iPad, you’ll have the benefit of a 2-colum recipe window; 1 column for ingredients, and 1 column for instructions. Each column is independently scrollable, making it easy to reference recipes and instructions without endlessly scrolling back and forth. Head Recipe Planning is Eeasy. Age Restricted for Alcohol. Aged 21 and up, or see your country'a local laws for using this application or consuming alcohol.